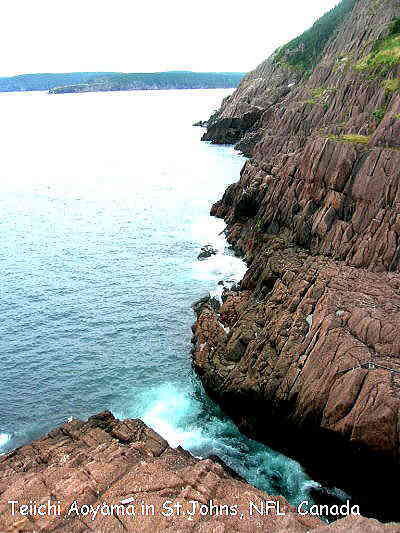 Visit the oldest surviving lighthouse in Newfoundland, dating from 1836. 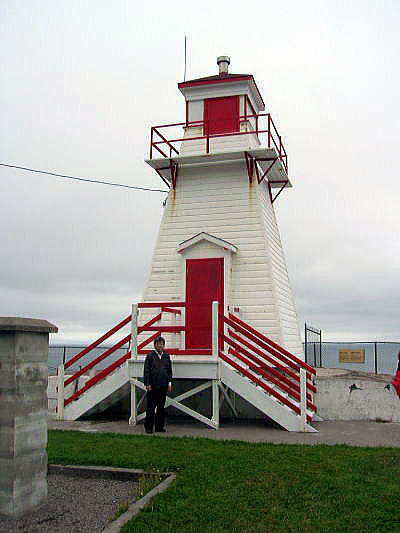 The lighthouse has been restored to its original appearance and refurnished to reflect a lightkeeper's residence of 1839. 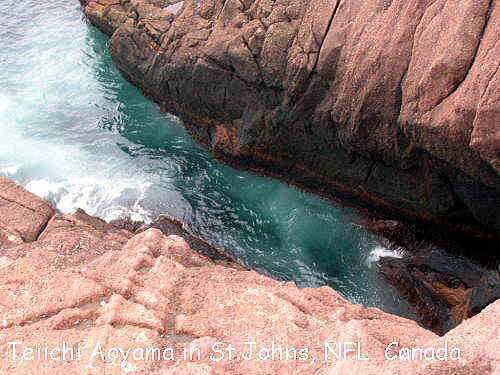 Built in 1835, the Cape Spear Lighthouse is the oldest existing lighthouse in Newfoundland. 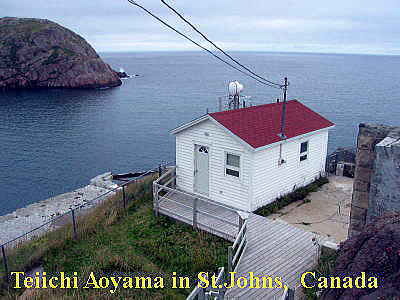 The two-story, wooden structure that served as a marine beacon from 1836 to 1955 is now a lifestyle museum. 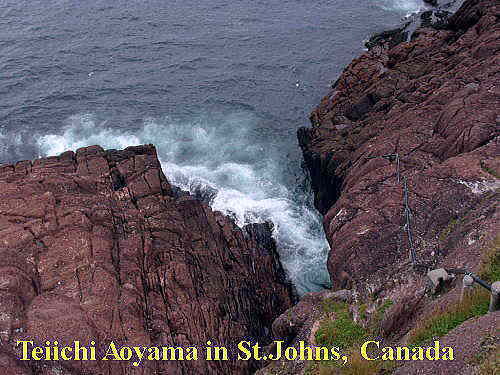 It is also an excellent vantage point to view whales and icebergs. Following the death of the first Cape Spear lightkeeper, Emmanuel Warre, James Cantwell and since him, members of the Cantwell family have tended the light ever since. 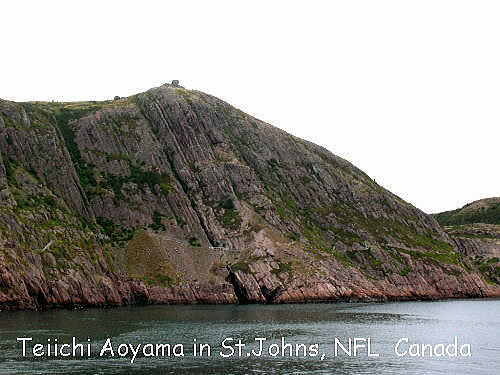 World War II saw two gun emplacements and underground passages & barracks added, though most of this was demolished after the war, though the gun emplacements still exist. 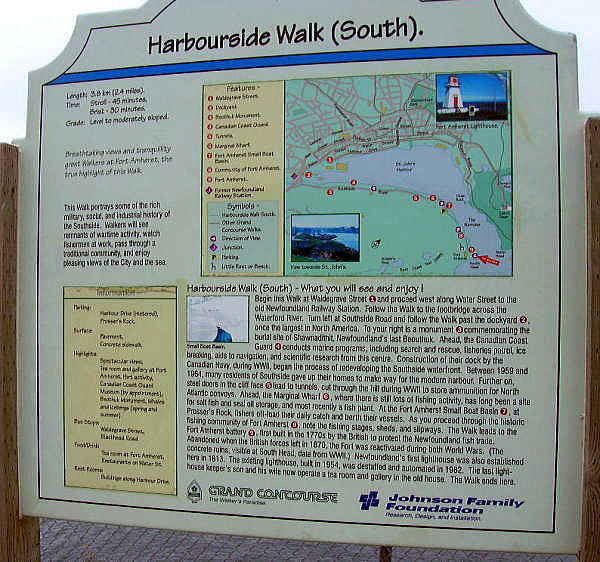 Watch for whales, seabirds and icebergs. 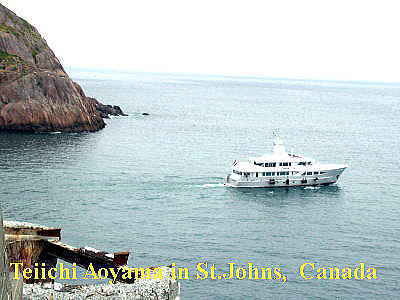 Fort Amherst is a small community within St. John's, Newfoundland and Labrador. 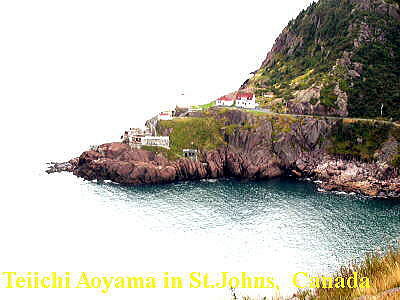 It is located at, on the southern side of "The Narrows", the entrance to St. John's harbor. 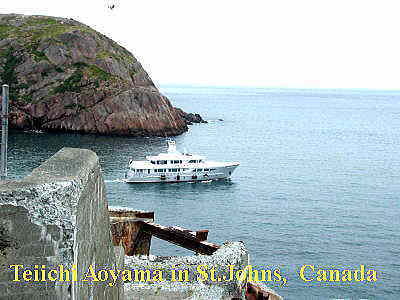 Apart from some family dwellings, Fort Amherst consists of a man-made harbor, a lighthouse and the remains of gun emplacements built during World War II to defend against German U-boats. 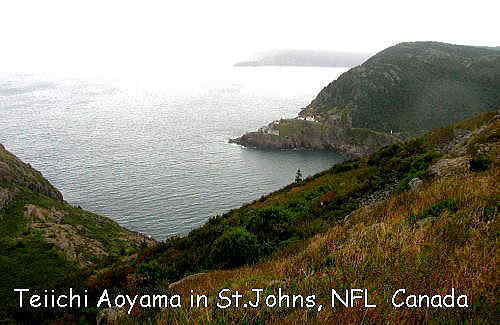 Location: St. John's Harbour, southeastern Newfoundland. 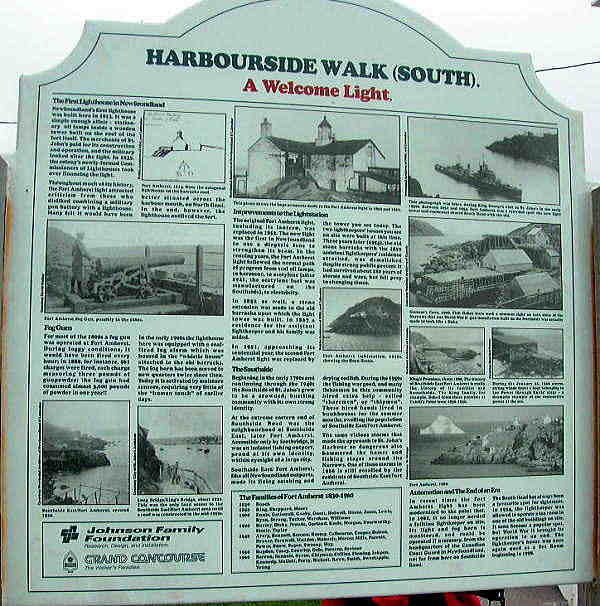 Notes: The original lighthouse on this site was the first lighthouse in Newfoundland. 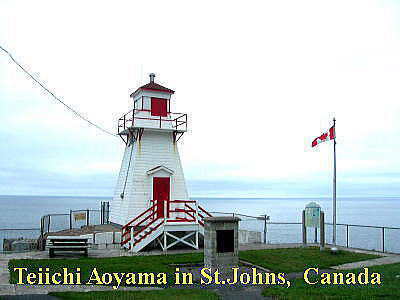 Description Tower: White, square pyramidal wooden tower with red lantern. 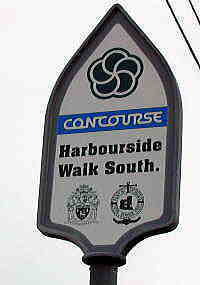 Directions: Fort Amherst can be reached by taking Southside Road along the southern edge of St. John's Harbour. Map It! 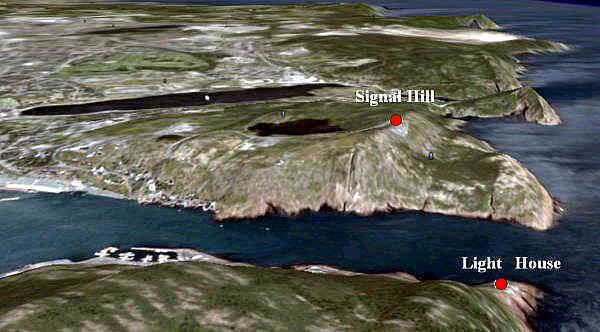 Characteristic Range: Flashing white every 15 seconds, visible for 13 nautical miles.